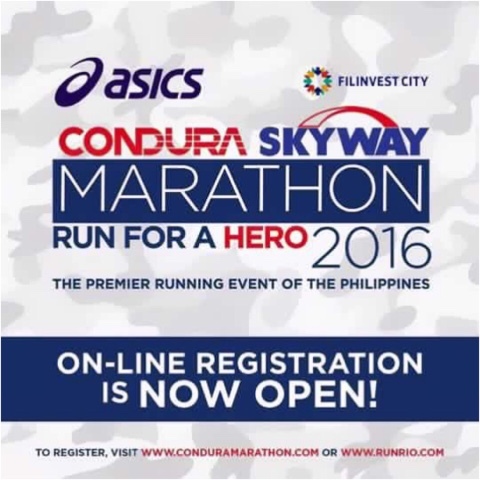 All is set for one of the much anticipated marathons of 2016, the Condura Skyway Marathon 2016. The said event will once more take place in the Skyway of Filinvest City, Alabang this coming February 7, 2016. 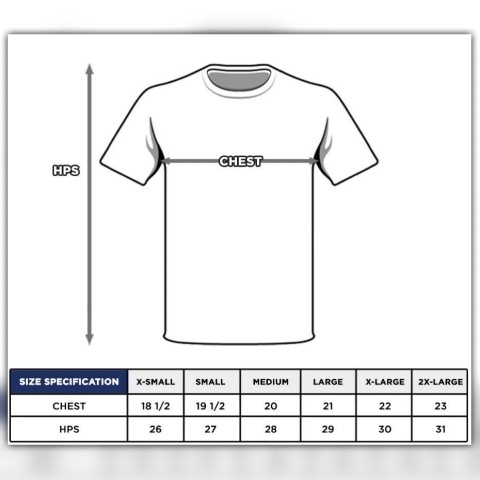 What excites more the runners like me is the tech shirt of this marathon. 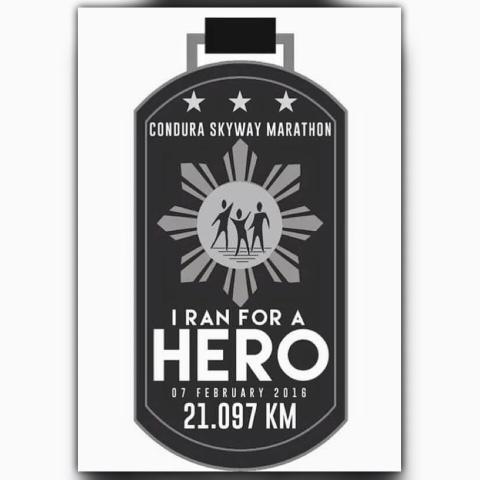 Yes, the tech shirt is really far more better than the previous Condura marathons. 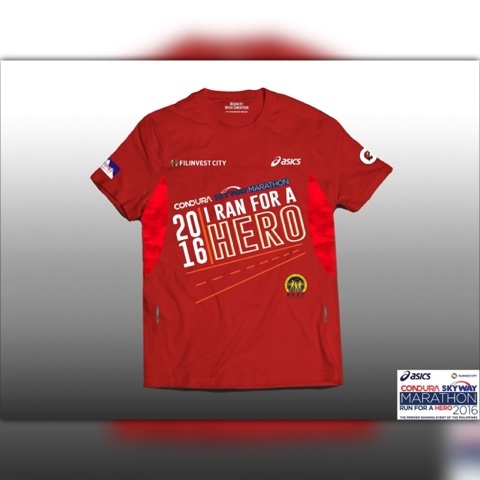 It's a red drift shirt with a tagline of "I Ran for a Hero." Just like the 2015 Condura Skyway Marathon, the theme is still "I Ran for a Hero" wherein we will again pay tribute to the modern heroes who sacrificed their lives to protect the country. And of course, the medal is again a huge dog tag symbolizing the Philippine army. This running event is organized by Runrio. Online registration is now open. You may visit the official website of Condura and Runrio to register. On the other hand, there is an exciting news for the runners who will buy their new shoes on Asics. 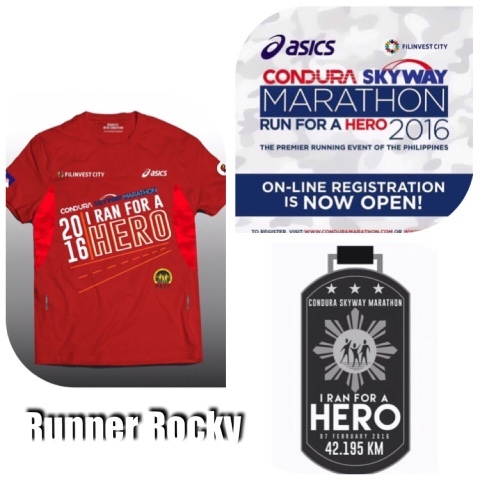 Yes, for those who will buy their pair of shoes in any Asics branches worth Php 5,500 and up, they will get a free racekit for this Condura Skyway Marathon 2016 for both the 21Km and 42Km categories. The said promo will start on the first week of December 2015.